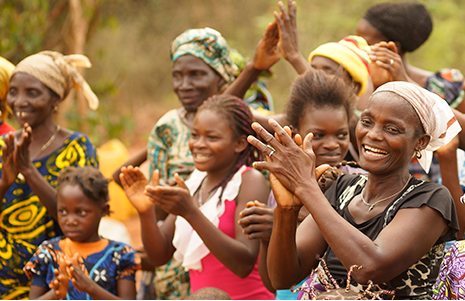 GAiN’s Water for Life Initiative reached a new milestone in February 2018 – providing 1000 communities with access to safe water in Benin! 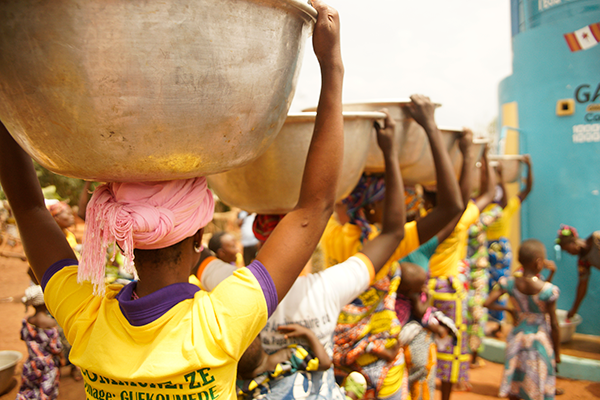 This means approximately 1 million people have now benefited from GAiN’s water program in Benin! 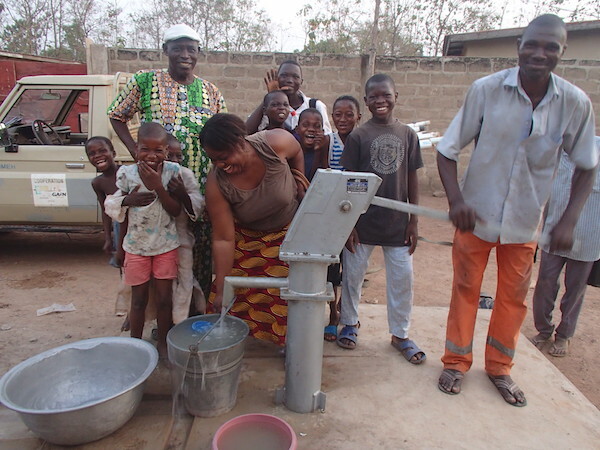 The 1000th village to receive a well is Koudjinnada, approximately 90 minutes north of Benin’s largest city, Cotonou. 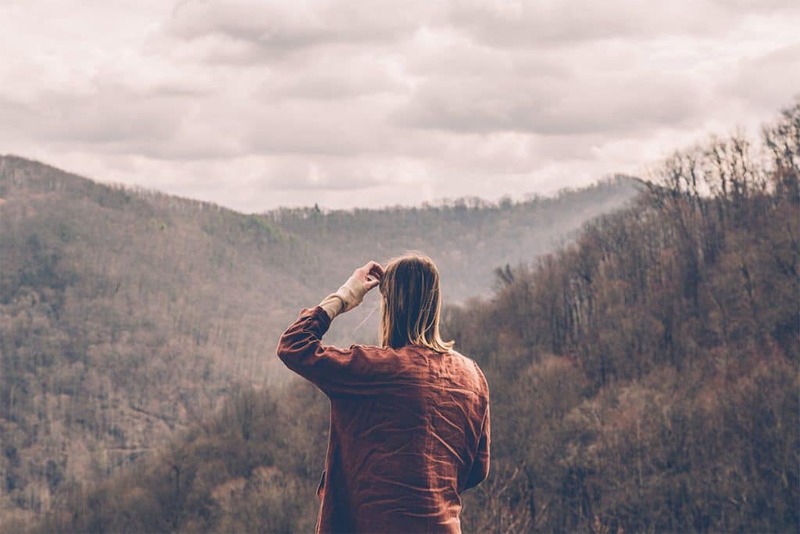 Prior to the provision of the new clean water well, people relied on three different unsafe water sources nearby, like hand-dug wells or swamps, that are harmful to the community. 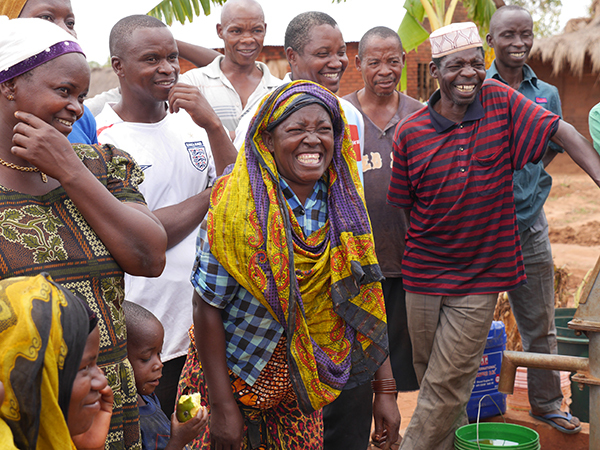 Needless to say, the community was ecstatic when a safe water point was provided in the community. 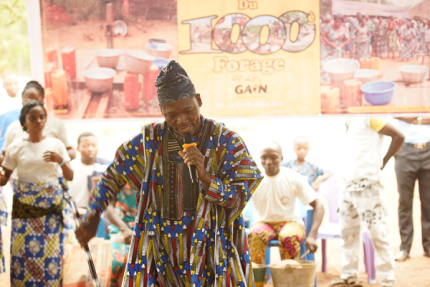 To celebrate this milestone, GAiN hosted a few days of activities in Benin. Some of the GAiN Canada staff, including GAiN CEO Ray Sawatsky, were present for the celebration, along with Power to Change President Rod Bergen, and some other board members and donors. A village celebration to commemorate this occasion was held in Koudjinnada on February 12th, in the presence of Seidou Adambi Samou, the Benin Minister of Water, Mines and Hydraulic, and Francis Loko, the former Benin Ambassador to Canada. According to a 2017 United Nations report, 3 in 10 people around the world lack access to safe and readily available water, and almost 6 in 10 to safely managed sanitation, so our deep-capped water wells, together with sanitation and hygiene training, is helping develop communities and provide solutions to this water crisis. By the end of November 2018 our Water for Life Initiative has provided 1,154 productive wells in Benin, 331 in Togo, 313 in Tanzania, 75 in South Sudan, 48 in Ethiopia, and 10 in Thailand for a total of 1,931 overall. That’s clean water for 1,931,000 people! We’ve also provided sanitation and hygiene training to 166,423 people, gender and sensitivity training to 46,310 people, and community health training to 24,228 people. Helping people gain access to clean water has also opened their hearts to Jesus, the true Living Water! Thanks to our Water for Life Initiative projects, 737,825 people have watched the JESUS Film, and 87,491 have made decisions to follow Christ! 12,991 people have been trained in our church planting follow-up action groups, which has led to 714 new church plants and discipleship groups, and 128 built churches. 22,147 adults are engaged in follow-up groups, and 677 adults have taken pastor training since the spring of 2009. Thank you Jesus! This answer was met with a roar of laughter but as funny as the statement is, it is true. Her statement is a reflection of the impact that clean water can have, not just on one woman but on a family and a whole community. This lady wanted more children, but because of the hardships surrounding a lack of clean water, she didn’t have the capacity, time or health to bear and care for another child. Now with the deep-capped well in place, she has improved health and more time to devote to nurturing her family. 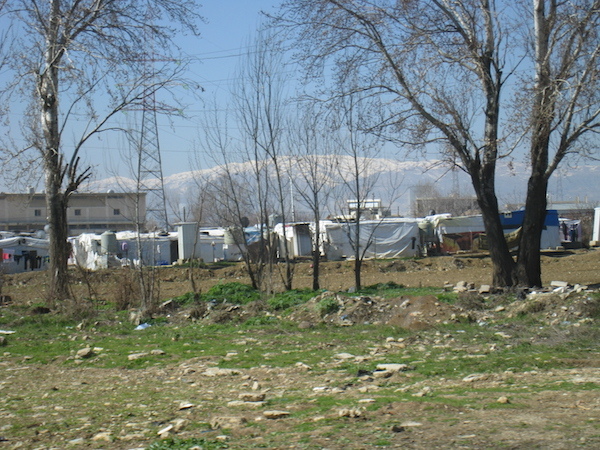 As the crisis in Syria continues and millions of internally displaced people (IDPs) and refugees struggle to survive and rebuild their lives, we are in the process of setting up a GAiN field office in Lebanon. During 2018, we distributed Bags of Blessing filled with food and non-food items to 1000 families. 800 children at various ministry centres in Syria received Back to School Backpacks with school and other supplies. We also distributed warm winter clothing during the Christmas season. GAiN also funded the startup of the Agape Table cafe in Beirut to reach refugee and poor families, as well as university students. And more than 75 Syrian volunteers and staff in Lebanon’s Bekaa valley received much needed trauma counselling and care. 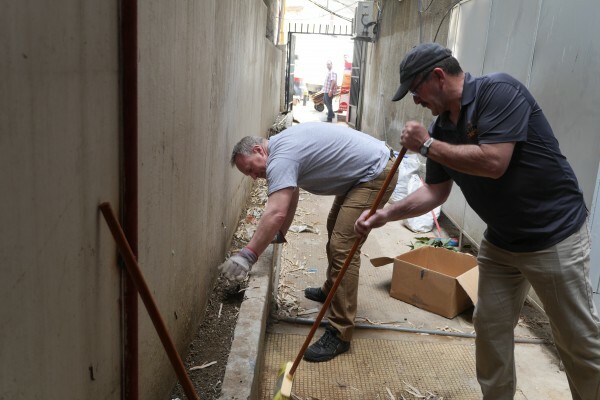 A team of 7 compassionate volunteers invested their Labor, Influence, Finance and Expertise to serve Syrian refugees when they joined Global Aid Network on a LIFE Team impact trip to Lebanon for two weeks last May. 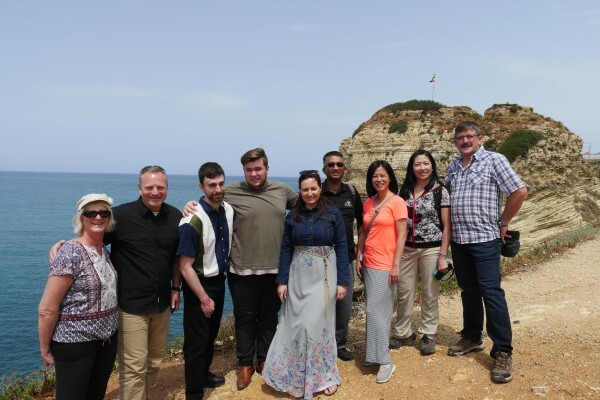 Serving alongside our partner in Beirut who know and understand the culture, the LIFE team gained a first-hand knowledge of the Syrian crisis and the needs of refugees, and were able to demonstrate the love of God to them, in word and deed, in desperately needed ways. The LIFE team also met with some leaders from our partner organization in Syria, who travelled from Damascus to Beirut for a short one-and-a-half day retreat, and shared their own harrowing stories of war, displacement and loss. The team ministered to the Syrian leaders through their listening ears, words of encouragement, many prayers and hugs and simply being present. Despite the tears and obvious pain, we were so encouraged by the leaders’ joy, faith and trust in the Lord. The meeting was mutually encouraging to both the Syrian staff and the LIFE Team. 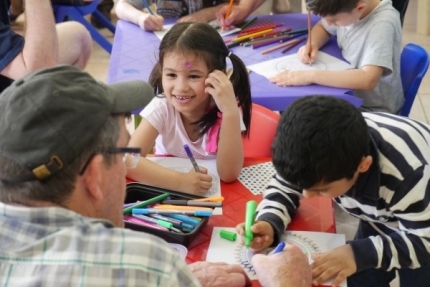 Our Syrian partners found the session therapeutic, while our team members gained an eye-opening and humbling glimpse into what life has been like in Syria for the past seven years. 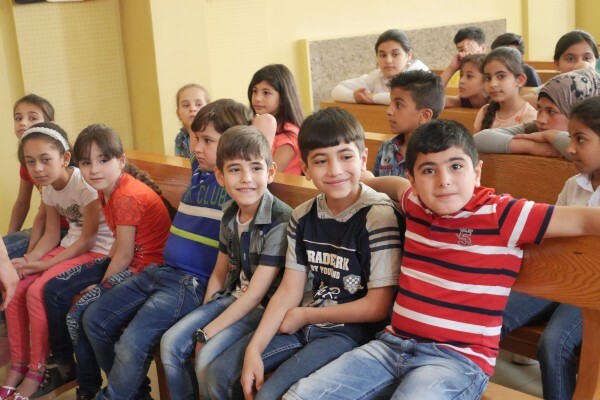 Together with our Lebanese partner, the LIFE team was able to serve at a “makeshift” school for over 40 refugee children who are unable to attend a Lebanese school for various reasons. The children were either behind academically (due to the war and displacement causing a gap in their schooling), lacked the required legal status, or simply could not afford the minimal fees required to attend a school. Team members were able to help the children with crafts, math games and chapel services, providing some temporary relief for the underpaid but passionate teachers. After school, participants were able to be a light to the community by visiting the homes of refugee families, who shared stories of their plight from Syria, often filled with some traumatic experiences. It has made me more aware of the impact of war on the citizens of the country of Syria. 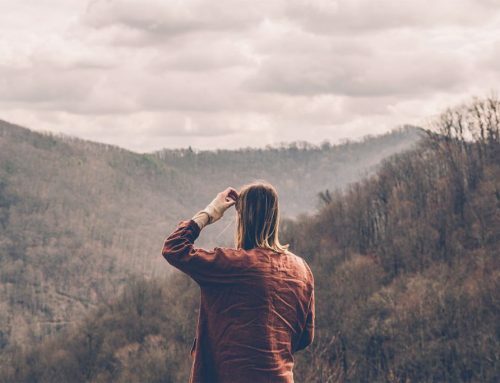 The hurt and pain of losses, and the opportunities it gives to show the love of Jesus. – LIFE Impact Team Participant. We plan to send another LIFE team to Lebanon this May to provide support in the ongoing response of our partners in the Middle East. 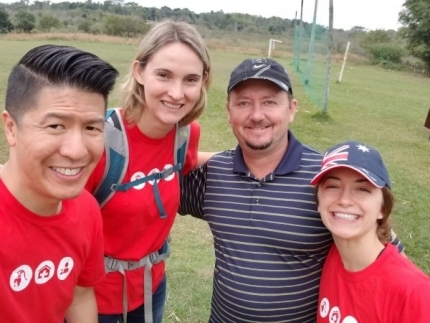 Alex’s teenage dream to do missions was rekindled when he participated in GAiN’s LIFE Team trip to Paraguay last December. The seed was planted when he visited our booth at Missions Fest Vancouver in 2018. Alex found out we needed volunteers with a business background to teach on financial literacy, and he knew it was a sign that God was calling him there. 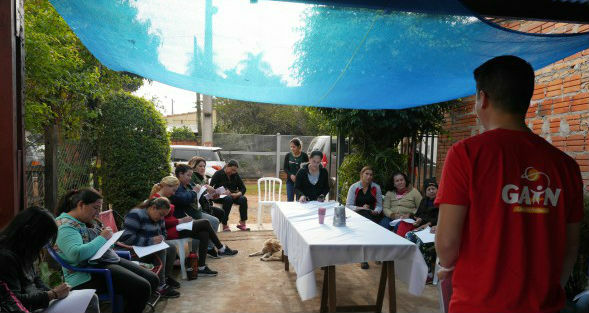 Together with Diaconia, GAiN’s partner in Paraguay that provides micro-loans to help women get out of the cycle of poverty, Alex taught workshops on financial literacy, how to start a business and managing personal finances. 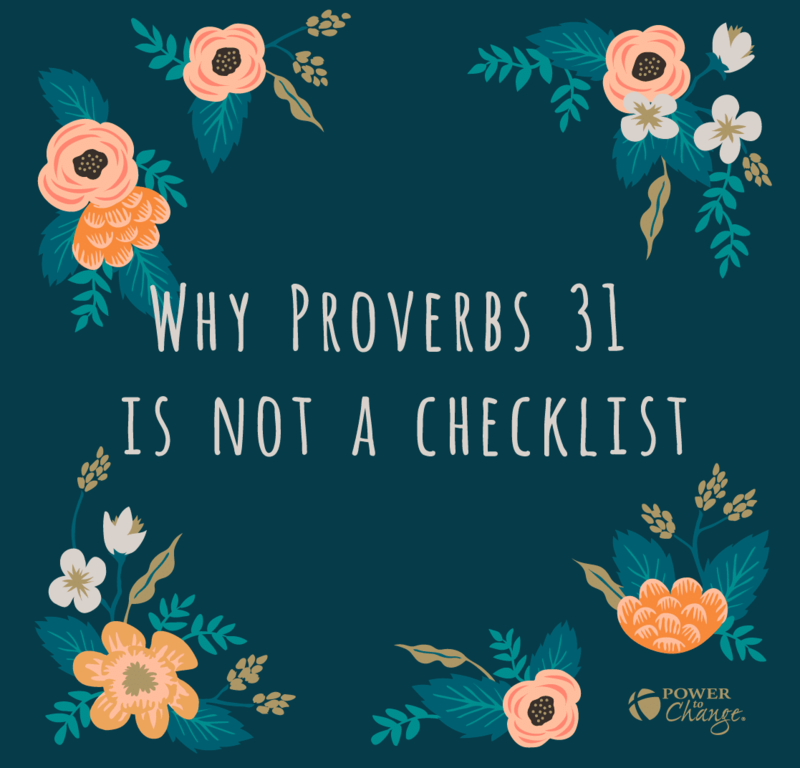 For wisdom as we set up a GAiN Field office in Lebanon. Once established, this office will serve GAiN’s relief efforts in the Middle East.